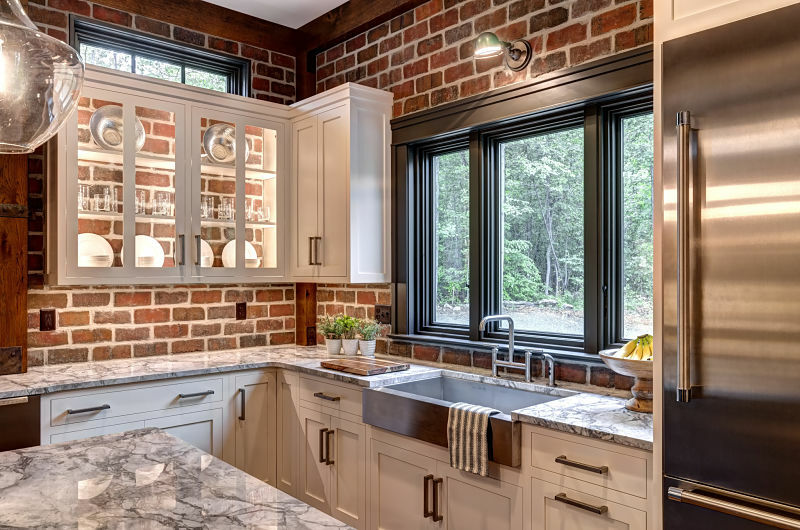 Being in Central Pennsylvania, we don't get many requests for contemporary style kitchens. 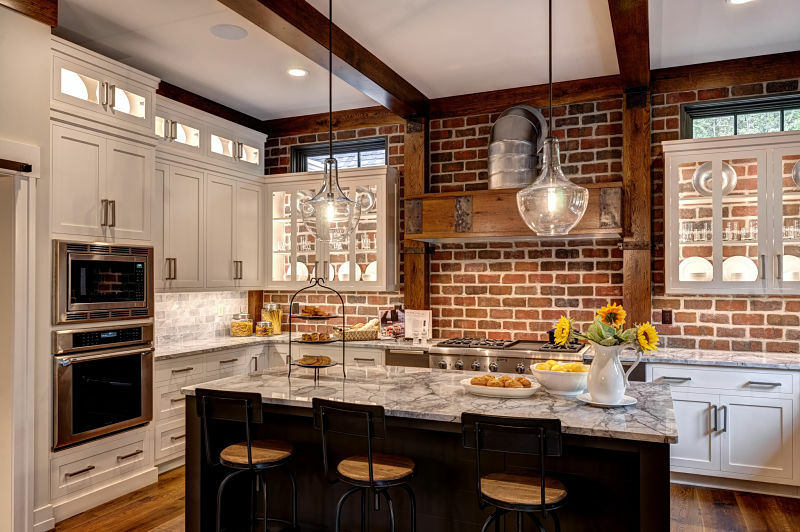 The builder wanted a "unique" look, so we decided on creating a space that looks light a space right out of a New York City warehouse loft. 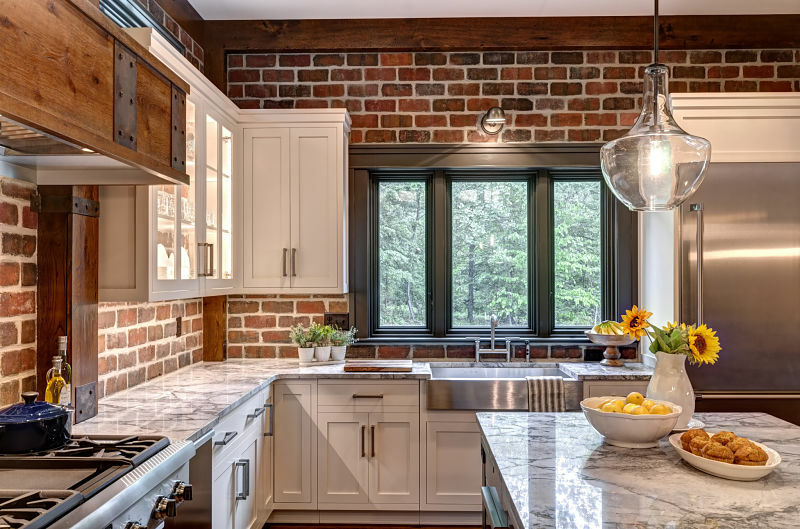 With exposed beams, duct work and antique brick walls, our design concept took form. 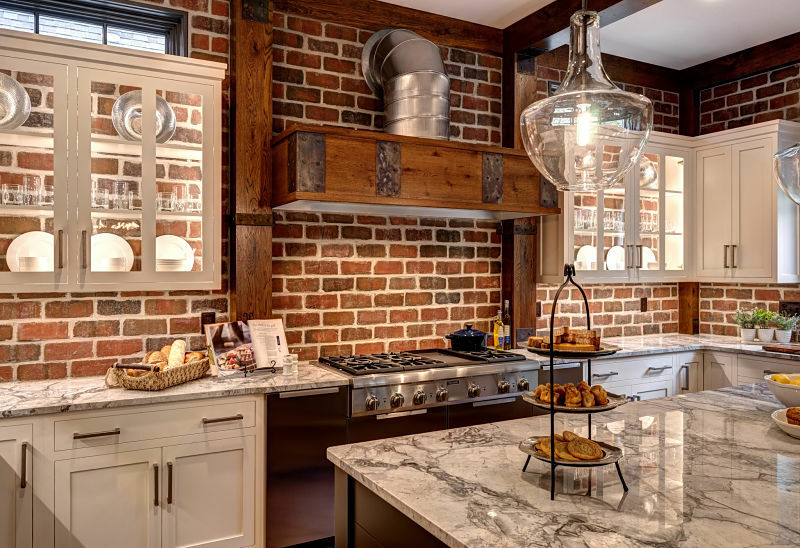 The look was created by using reclaimed brick for the walls, Rustic White Oak for the posts and hood that was attached with antiqued metal strapping, as well as exposed galvanized hood duct. 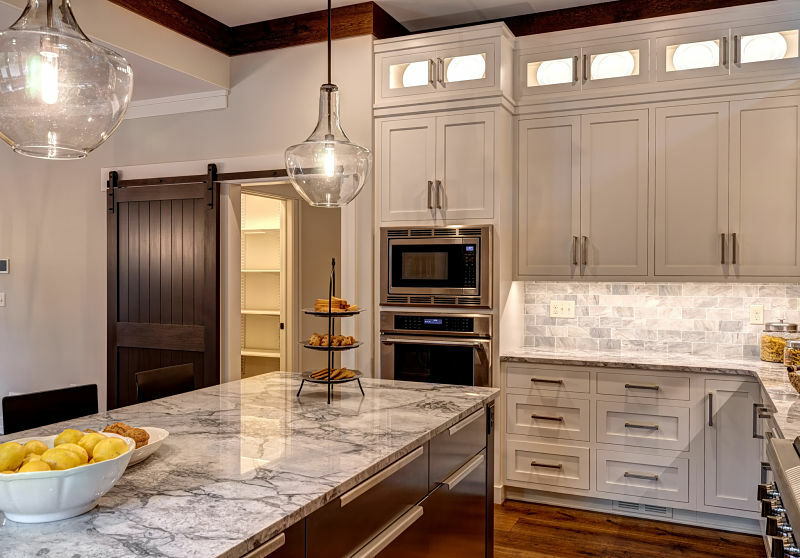 For the cabinetry, we used a combination of flush-inset painted doors, as well as European Style, full-overlay cabinetry in the design to create the look we desired for the project. 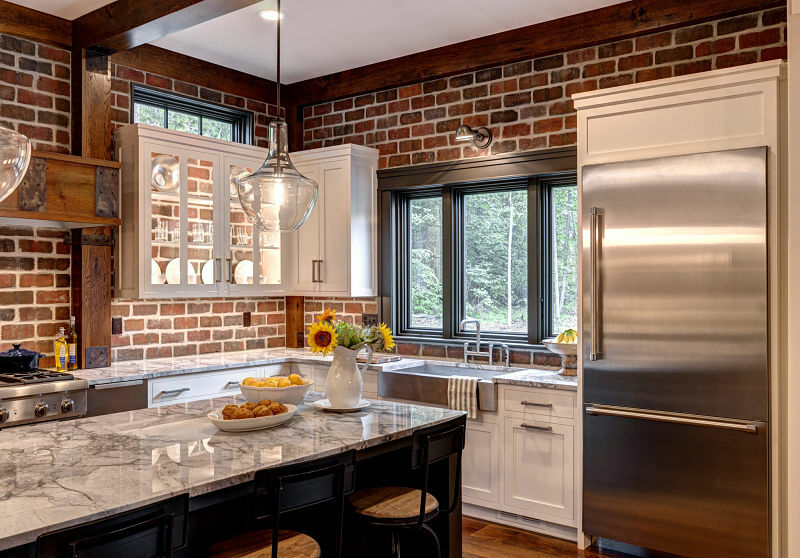 While this kitchen may not be a typical space for us, it allowed us to show our ability to build any style kitchen our clients desire.